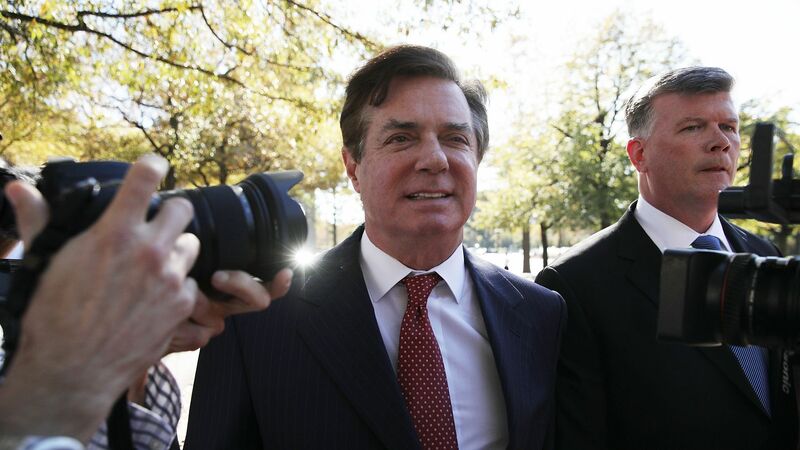 Paul Manafort's trial began after the jury was seated on Tuesday with Manafort's defense team quickly placing blame on his confidant and business partner, Rick Gates, saying he lied to both Manafort and federal investigators about Manafort’s taxes. Why it matters: Manafort's trial is the first of special counsel Robert Mueller's investigation into the Trump Campaign and potential ties to Russia. Though Mueller's team likely won't make any reference to "Russians" or "collusion," and instead focus on alleged financial crimes by Manafort. The trial is expected to last three weeks. Manafort faces charges of tax and bank fraud in relation to the laundering of $30 million in income, one count acting as an unregistered foreign agent, two counts of making false statements, one count of conspiracy to obstruct justice and another count of obstruction of justice. Prosecutors described Manafort as a "shrewd" liar in the opening statements for his trial today. Manafort's lawyers placed much of the blame on Rick Gates. Manafort's defense team claimed he never "intentionally" misled the IRS, with attorney Thomas Zehnle claiming Manafort's financial arrangements were requested by the people in Ukraine funding his work. Tad Devine was the first witness prosecutors called to the stand. Devine was Bernie Sander's chief strategist during his 2016 campaign. Devine worked with Manafort and Gates in Ukraine in 2009-10 on the campaign trail for the Party of Regions — a pro-Russia political party, reports the Washington Post. Devine said Manafort was in charge of the campaign and described he and Gates as underlings. He claimed Manafort brought American-style politics to Ukraine. This story has been updated to reflect the latest developments.